A federal magistrate in Washington D.C. Wednesday ordered Mariia Butina held in detention until her trial on charges of failing to register as an agent of Russia and conspiring against the United States. Butina also pleaded not guilty during the preliminary hearing. She was indicted by a federal grand jury in the nation’s capital Tuesday following her arrest there Sunday. Federal prosecutors argued that Butina was an “extreme flight risk” who should not be allowed to go free pending trial. The government, represented by Erik Kerenson, argued in front of U.S. Magistrate Judge Deborah Robinson that if Butina went to a Russian embassy or was picked by a diplomatic car, there would be nothing law enforcement could do about it, and Russia also could legally provide her with a passport that would allow her to leaved the country. 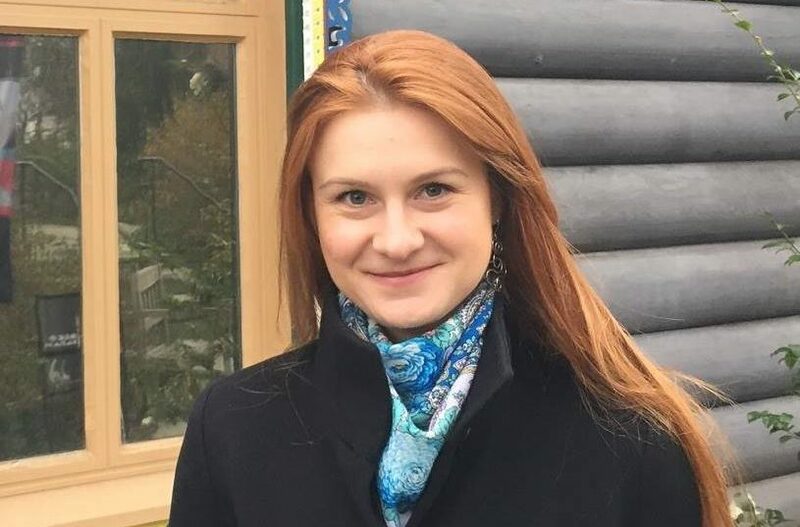 Butina, represented by Robert Driscoll, was seeking to be released on bail, and contended that she had already been cooperating with various inquiries prior to her arrest. After the hearing, Driscoll told reporters that he respected but disagreed with the court’s order. Driscoll told the court that she had been contacted by the Senate Intelligence Committee in the fall of 2017 and testified before the committee for eight hours in April behind closed doors. She also provided the committee with some 8,000 pages of documents, Driscoll said. Driscoll also revealed that that in March 2018 the Federal Election Commission inquired with her about certain contributions. FBI agents searched Butina’s residence on April 25, Driscoll said, adding that she and her attorneys were present for the search. He said that her attorneys then reached out to the U.S. Attorney in South Dakota, which was referenced in the search warrants for her home, to offer them information. Kerenson countered this claim by arguing that Butina’s offer was to assist in a fraud investigation into an individual referred to in court docs as U.S. person 1. To his knowledge, he said she was never told that she was the subject of the investigation. U.S person 1 is, based on corroborating details, believed to be Paul Erickson, a South Dakota-based longtime GOP operative. Later in the hearing Driscoll referenced that Butina’s boyfriend lived in South Dakota, and that Butina this summer planned to move with him. Kerenson’s presentation to the judge went through some of the details in a motion the government filed ahead of the hearing, but he also made new claims about her activities in the U.S. He said it was “absurd” for her attorneys to claim she was simply in the United States as a student. He described alleged notes found on a thumb drive obtained at U.S. Person 1’s residence, under a folder titled “Maria Butina” that referenced laying a “groundwork,” according to Kerenson, to influence high-level politicians. Kerenson presented a photo, referenced in the court docs and exhibited for the courtroom, of Butina with a male individual he described as a suspected Russian intel operative. Driscoll argued that Butina was unaware of the individual’s ties to the FSB, Russia’s security agency, and said that they were simply two Russian nationals sharing a meal. After Driscoll claimed that there was no evidence that Butina had ever visited the Russian embassy or been in a diplomatic car, Kerenson alleged the existence of a photograph of Butina with former Russian ambassador Sergey Kislyak. Driscoll argued that Kislyak was already the former ambassador when the photograph, at a movie screening at a Russian cultural center, was taken.